Now - have I ever written about Iceland poppies before? Maybe, but if I can't remember, then you guys won't! But again I guess some of you have better memories than mine. 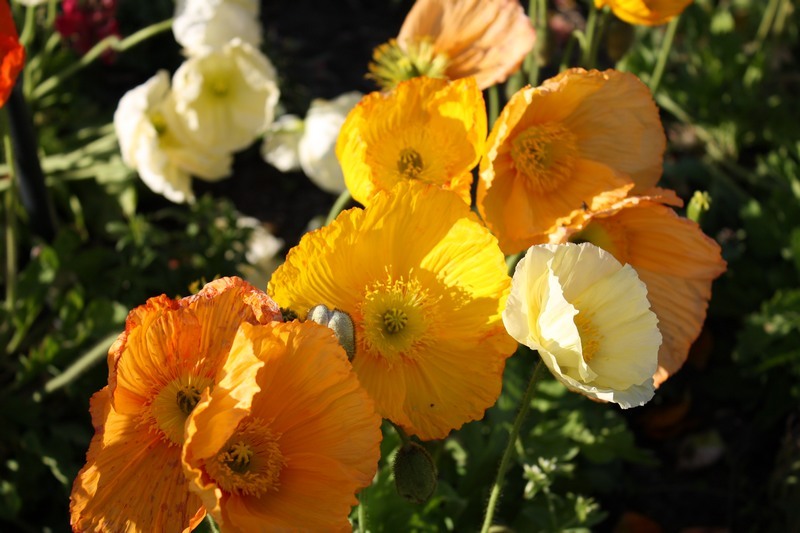 Amazingly Iceland poppies grow well here in the Californian desert - not in the wild but in gardens here in the winter. 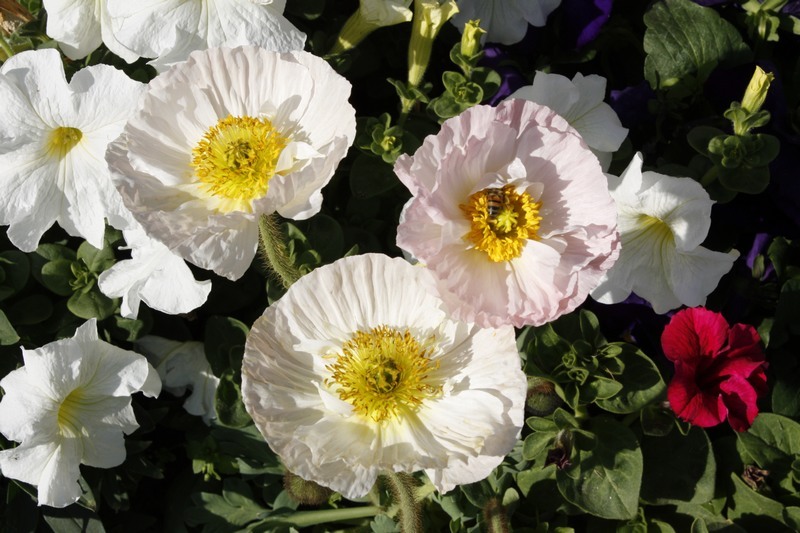 The cultivated poppies that go under this name are developed from Papaver nudicaule, a native of sub-polar regions of Europe, Asia and North America but not Iceland. And who said common names are simple? Anyway I just love these simple but exuberant flowers in soft but brilliant shades. 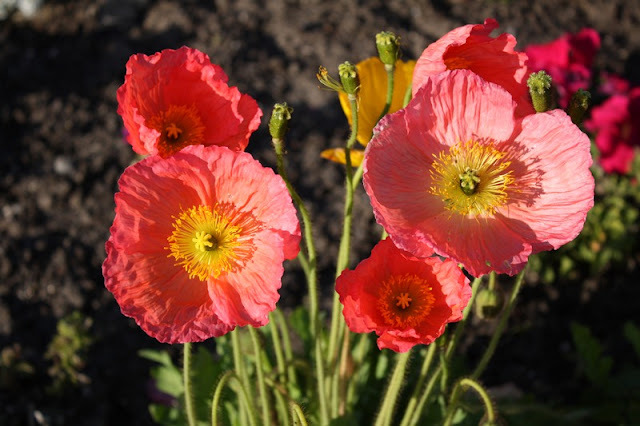 Out here, Iceland poppies are grown as winter bedding plants from October through till the spring. Sadly they are rarely planted en masse when they would look spectacular but usually sprinkled amongst other winter bedding as a sort of dot plant. As such, they are totally ineffective but the individual plants and flowers are wonderful. They are hardy from zone 3a to 10b, so logically they would be successful in the UK summer but I've rarely seen them back home. Maybe its because they are just biennials or short-term perennials. British gardeners do like value for money, so tender and short-lived plants don't always sell. Amazing - many people would readily spend £10 on a bunch of flowers, lasting maybe a week but won't spend the same or less on a tender plant that would give a summer's colour. 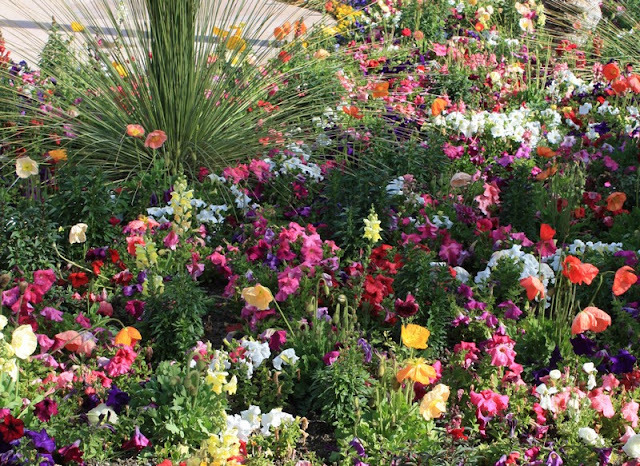 Typical Palm Springs bedding display - no colour scheme, no logic, no taste but its cheerful! Over the past year I have taken to watercolour painting and I think I may experience some kleptomaniacal urges when these are in flower - they'd be just right to paint! Who knows - I may even share some of my attempts with you in the next few weeks!